HMV shares rise as company agrees refinancing deal | What Hi-Fi? 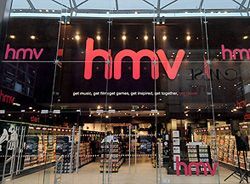 HMV has agreed a new refinancing deal with its lenders worth £220m in an effort to revive the music and video retailer's fortunes. The company's share price rose on Monday in anticipation of the deal and again on Tuesday after its completion, reports the BBC. Chief executive Simon Fox said the new bank facility "represents another important milestone in securing the financial stability of the group". HMV has estimated debts of £170m and has issued a number of profit warnings this year as it struggles to compete with online retailers. The company has scheduled to convert 150 of its larger stores to focus on tablets, apps and accessories by the end of September.